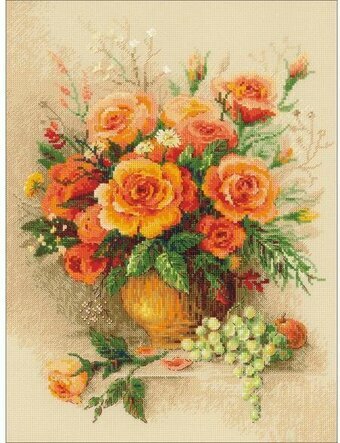 Cross stitch kit featuring rose flowers. 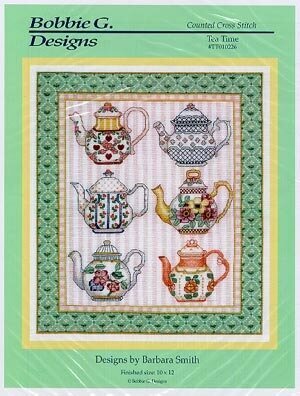 This cross stitch kit contains 14 count Aida Zweigart fabric, Anchor stranded cotton threads (26 colors), needle, instructions and color chart. 11.75" x 15.75". Model stitched on 28 Ct. Antique White Quaker Cloth or 28 Ct. Antique White Cashel with Gloriana Silk (040), Needlepoint Inc silk (481, 783, and 781), Kreinik Silk Mori (8000, and 4044), SJ Designs petite beads (1876 - turquoise), SJ Designs beads (2mm pearl - lilac), DMC #8 pearl cotton (209). Stitch Count: 58W x 58H. Finishing instructions included. 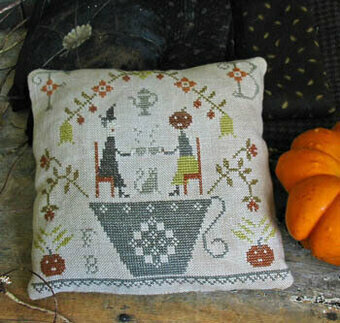 Models stitched on 32 Ct. French Lace Linen. Stitch Count: 100W x 100H each. Blossom is stitched with DMC floss (White, 155, 168, 318, 333, 341, 413, 414, 550, 553, 964, 3756, 3814, and 3849), Caron Waterlilies (162), Mill Hill Beads (42010, and 62038), and Mill Hill Treasures (13029). Rose is stitched with DMC floss (White, 164, 168, 318, 413, 414, 520, 602, 604, 703, 819, 905, 3350, and 3756), Caron Waterlilies (095), Mill Hill Treasures (13062), and Mill Hill Beads (02066, and 18819). Bloom is stitched with DMC floss (White, 154, 168, 225, 315, 318, 413, 414, 415, 603, 718, 741, 775, 907, 959, 972, 3078, 3607, and 3811), Caron Waterlilies (269), Mill Hill Treasures (13030), and Mill Hill Beads (02066, and 42012). 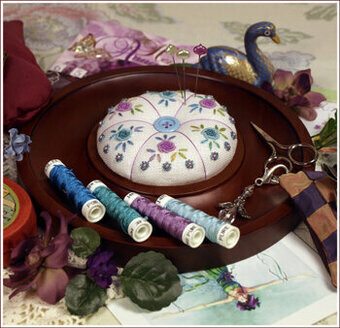 Petal is stitched with DMC floss (White, 168, 318, 413, 414, 742, 971, 993, 3341, 3685, 3756, 3801, 3811, and 3831), Caron Waterlilies (276), Mill Hill Treasures (13065) and Mill Hill Beads (02003, and 02061). Fern is stitched with DMC floss (White, 168, 211, 318, 413, 414, 775, 954, 958, 959, 3811, and 3848), Caron Waterlilies (207), Mill Hill Treasures (13026), and Mill Hill Beads (02008). Tulip stitched with DMC floss (154, 168, 318, 333, 340, 341, 413, 414, 605, 718, 815, 819, and 3607), Caron Waterlilies (277), Mill Hill Treasures (13063), and Mill Hill Beads (42101). 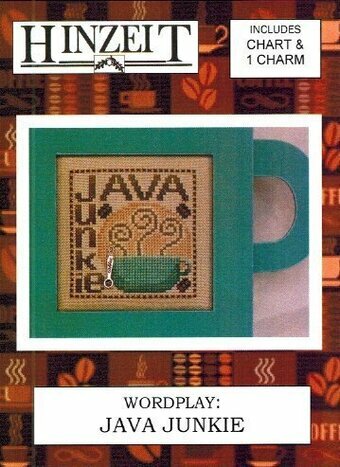 Complete kit includes: Beads, ceramic button #86265MH, PP3 Antique Brown perforated paper, needles, floss, chart and instructions. 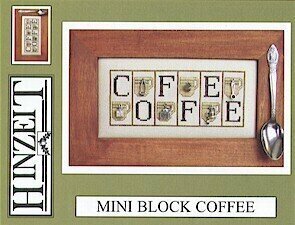 Finished size: 5" x 5"
Little Cups of Friendship: 27 Ct. 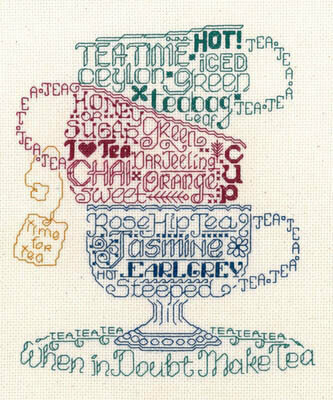 Tea Northern Cross Linen. Stitch Count: 89W x 35H. 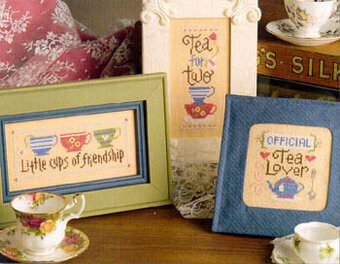 Tea for Two: 27 Ct. 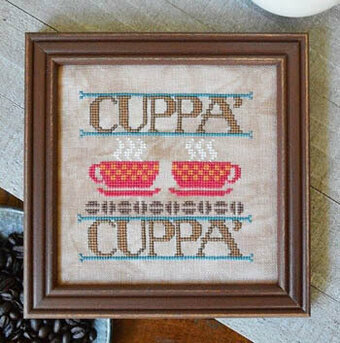 Tea Northern Cross Linen. Stitch Count: 29W x 76H. Official Tea Lover: 27 Ct. 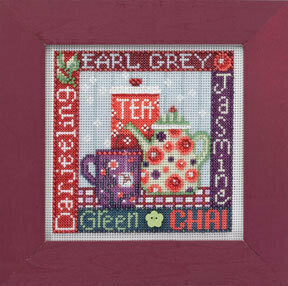 Tea Northern Cross Linen. Stitch Count: 46W x 50H. Uses Gentle Art Sampler Threads and Weeks Dye Works. DMC equivalents are 3863 3354 309 798 898 318 745 827 3052 712. "Hand over the coffee and no one gets hurt!" Model stitched on 28 Ct. 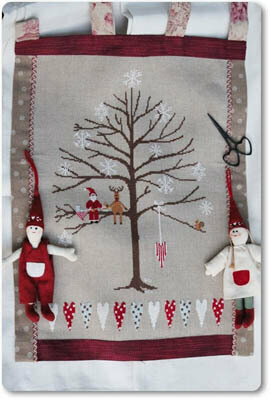 Chestnut by Polstitches with DMC floss and DMC Color Variations. Stitch Count: 49W x 70H. Model on 28 Ct. Lambswool Jobelan with DMC floss. Stitch Count: 45H x 45W. Comes with spoon charm. 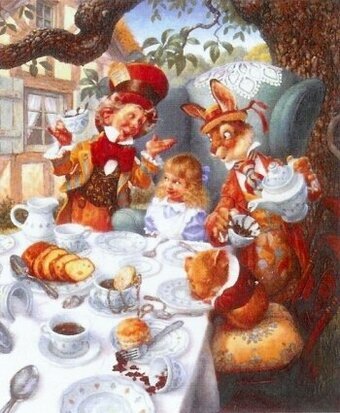 "Time for tea." "When in doubt, make tea." Model stitched on 14 Ct. Natural Aida with DMC floss. Stitch Count: 107x123. Designed by Ursula Michael. 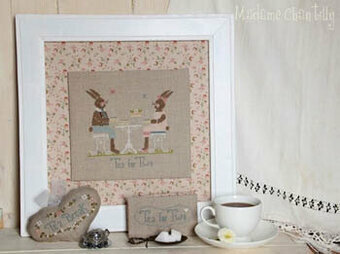 "Come share with me a cup of tea, and let our earthly troubles be". 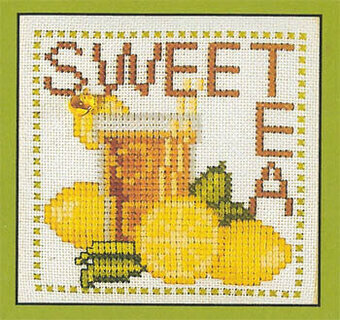 Model stitched on 28 count Vintage Cashel Linen with Kreinik Mori, Gloriana Silk, Gentle Art Sampler Threads, Needlepoint Inc., DMC floss, Au ver a Soie, SJ Designs beads, and Mill Hill Beads. 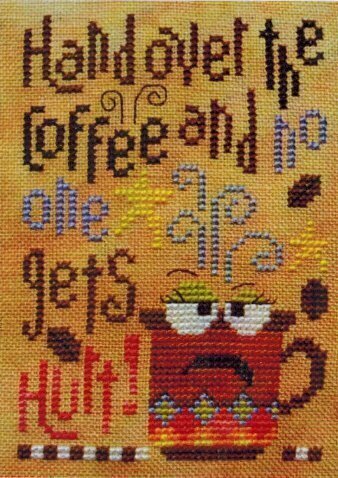 The stitch count is 132W x 111H. Also shown finished as a gorgeous Tea Cosy. 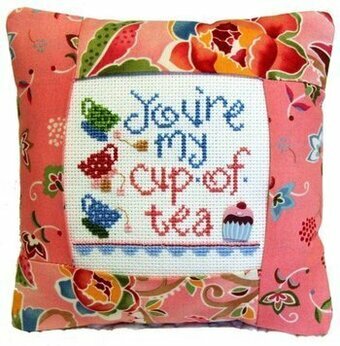 Bonus Teacup Pincushion pattern is included. "Given enough coffee I could rule the world". 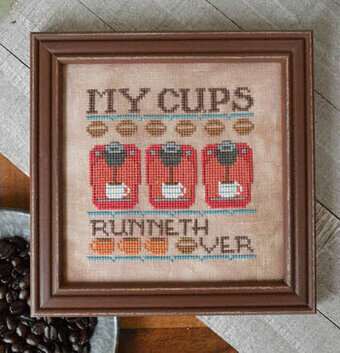 This humorous stamped cross stitch design is perfect for the coffee lover. 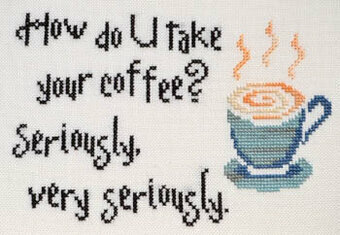 Enjoy your favorite cup of java while stitching this humorous design. 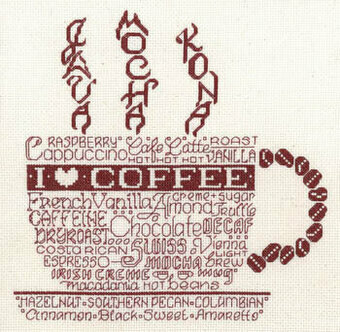 Stitched on printed muslin, our caffeine-induced collage features a fabric with printed X's for easy stitch placement, cotton floss, and easy instructions. 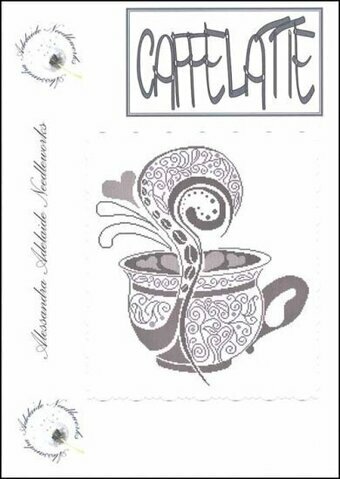 Kit contains cotton thread, printed muslin, needle, and easy instructions.-- Finished Size: 7" x 5" (18 x 13 cm) -- Designer: Tara Reed. "How do you take your coffee? Seriously, very seriously." Stitch Count: 100W x66H. Model stitched on 32 ct Antique white Jobelan using Gentle Art Simply wool, Caron Waterlilies & DMC. Stitched on 16 count Ivory Aida with DMC floss. The stitch count for "Roses" is 87W x 65H. The stitch count for "Pansies" is 70W x 54H. The stitch count for "Violets" is 65W x 57H. 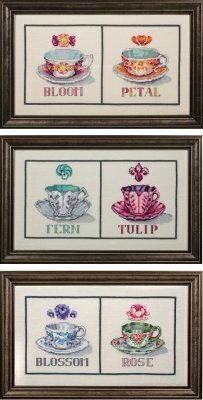 A floral border and striped background help to bring out the beauty of these delicate tea pots. A Barbara Smith design. Model stitched on 14 Ct. White Aida. Stitch Count: 177H x 147W. Model stitched on 28 Ct. Light Mocha Belfast Linen fabric with Dinky Dyes Silk Thread, or DMC floss (3865, 309, 3688, 3340, 597, 3021, 3781 and 436). Stitch Count: 102W x 102H. 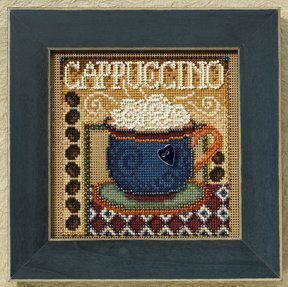 "But first, coffee" - Model stitched over 2 threads on 30 Ct. Tin Roof linen. Stitch count: 12H x 144. "That's a Horrible Idea! What time?" - Model stitched over 2 threads on 30 Ct. Tin Roof linen. Stitch Count: 84x19. Both models use DMC floss. "Delight is in the simple joys of life poured out with love and kindness!" Model stitched on 14 Ct. White aida with DMC floss. Stitch Count: 94H x 143W. Designed by Gail Bussi. 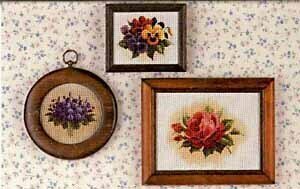 Model stitched on fabric of your choice with DMC floss. Stitch Count: 254x157. "I's 7am somewhere." Part of the Cool Beans series. Model stitched on 32 Ct. Oaken by Picture this plus using DMC floss. Stitch count 63x63. 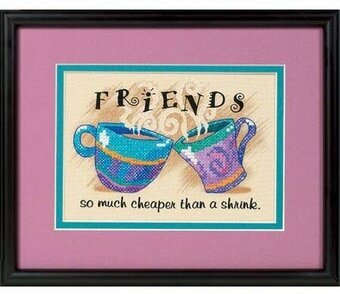 Let your friends know how much you value them with this lighthearted stamped cross stitch design. 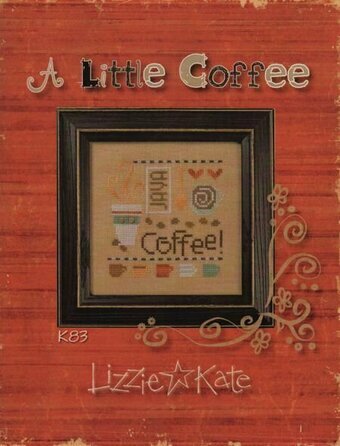 Why pay a shrink when you can sip coffee and share secrets with a special friend. Although lighthearted in tone, this design emphasizes the value of a true friend. 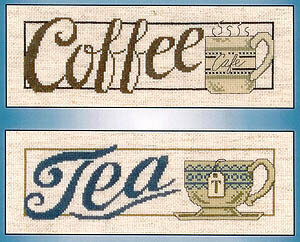 It's stitched with cotton thread on printed ivory sailcloth. 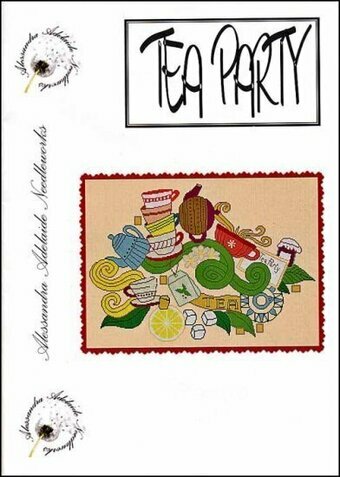 Kit contains cotton thread, printed ivory sailcloth, needle, and easy instructions.-- Finished Size: 7" x 5" (18 x 13 cm) -- Designer: Dimensions. 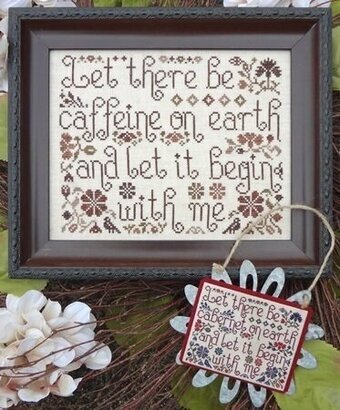 "Let there be caffeine on Earth and let it begin with me!" 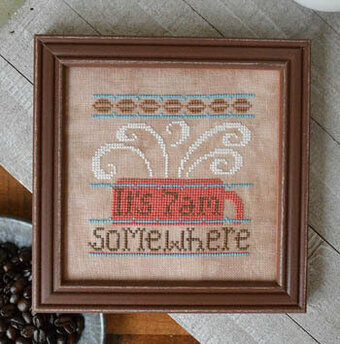 Model stitched over 2 threads on 28 Ct. Country French Latte with Weeks Dye Works floss (or DMC 829, 610, 433, 898, 3031, 3371). Stitch Count: 126W x 98H. Second model for "cabernet" instead of "caffeine" was stitched over 1 thread on 32 Ct. Vintage Lentil by Lakeside Linens with Weeks Dye Works floss (Caper, Charcoal, Lancaster Red, Eggplant, Crimson, Peacoat). 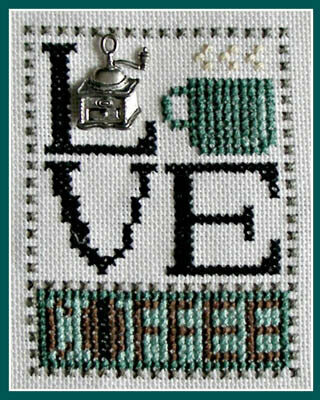 Cross stitch kit from Design Works featuring the sentiment "All you need is love and a good cup of coffee". 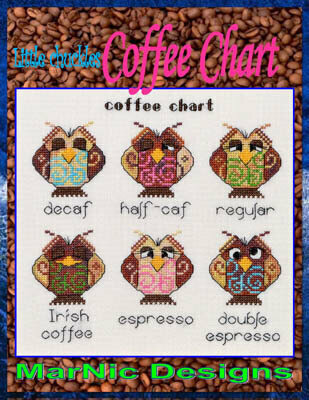 This Counted Cross Stitch Kit includes: 100% Cotton Aida Cloth, 100% Cotton Embroidery Floss, #24 Tapestry Needle, Fully Illustrated Chart & Instructions. 8" x 10". Model stitched on 28 Ct. Antique White Jobelan using DMC floss. Stitch count 31x41. Kit includes pre-sewn 6 3/4" square pillow, 16ct ivory aida cloth, DMC floss, tapestry needle, color photograph and instructions. 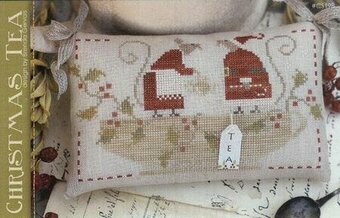 Simply slip the sides of your finished cross-stitch into the pillow and it is ready to display or give to a special friend. Prints may vary. Kit comes with 28 ct. Amber linen, and tiny "cafe au lait" colored buttons. Also required, but not included is Weeks Dye Works floss (or DMC 3853, 898, 3790, 434, Ecru, 598, 920, 3816). Stitch Count: 55W x 55H. 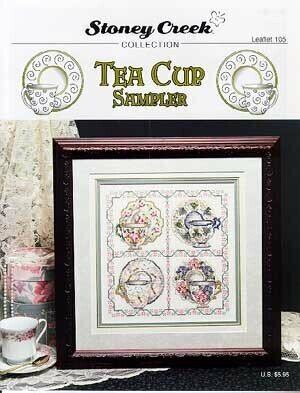 Complete kit includes cotton thread, 14 Ct. Black Aida, thread sorter, needle, and easy instructions. Finished Size: 11" x 14". Designed by Barb Tourtillotte. Karen Carter Collection. Model stitched over 2 threads on 27 Ct. fabric with DMC floss. Finished size: 14 3/4" x 4". Model stitched on your choice of fabric with DMC floss. Stitch Count: 181W x 205H. Model stitched over two using 35 Ct. Abecedarian Linen by R&R Reproductions using Weeks Dye Works, Gentle Arts and Classic Colorworks threads. Stitch count 110x64. Great design for the kitchen! 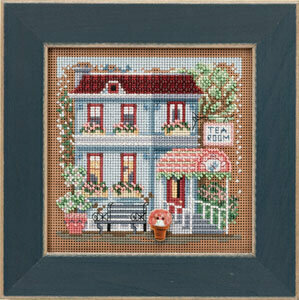 The model was stitched on 28 Ct. Ivory Lugana with Gentle Art Sampler threads. DMC conversions are 3790 3371 3782 3012. Stitch Count: 97W x 41H. Includes 6 charms. Model stitched over two on 32 Ct. Oaken by Picture This Plus using DMC floss. Stitch count 65x65. 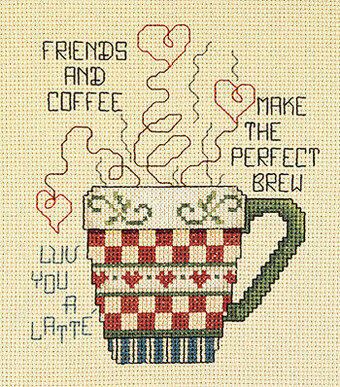 Friends make the perfect brew! 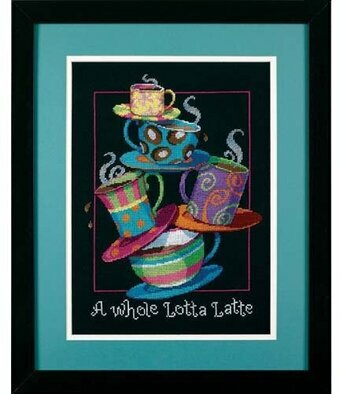 Friends luv you a latte! 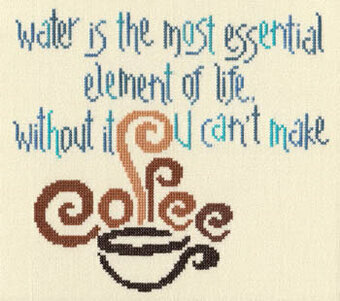 For all those coffee lovers in your life. 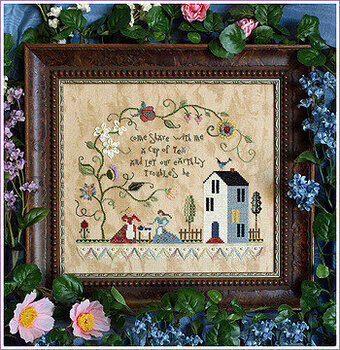 Design is by Stoney Creek, kit contains: 14-count cotton Aida, 6- strand carded cotton floss, needle, graph, and instructions. Size: 5"x6". 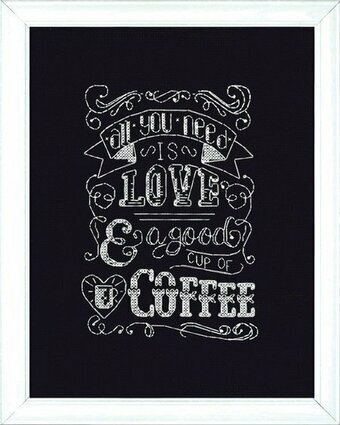 "Life is too short for bad coffee." "Life is too short for bad tea." 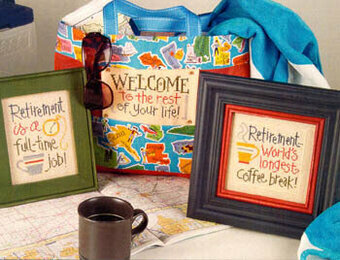 Models stitched on fabric of your choice with DMC floss. Stitch count each: 86x68. Artwork by Scott Gustafson. Model stitched over one thread on 25ct. white linen or evenweave using DMC floss and Kreinik #4 braid. Stitch count: 450w x 561h. "My Cups Runneth Over." Part of the Cool Beans series. Model stitched on 32 Ct. Oaken by Picture this plus using DMC floss. 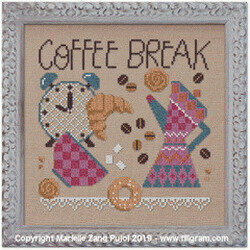 Stitch count 64x65. Model stitched on 14 Ct. fabric of your choice using DMC floss. Stitch count 181x241. Model stitched on 28 Ct. Antique White Jobelan with DMC floss. Stitch Count: 45W x 45H. Comes with charm. "Come. Sit. 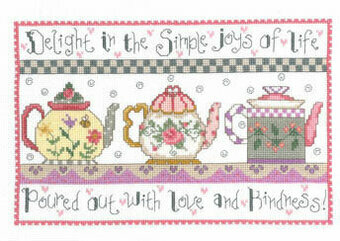 Stay" Kit includes pattern, 18 Ct. Ivory Aida, DMC floss, needle and finishing instructions. Finished size: 6.5" x 4.5". Designed by Susan Branch.